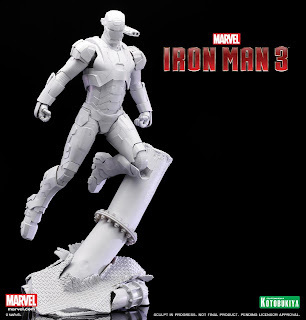 Just saw this prototype Iron Man 3 War Machine ARTFX statue over at the Kotobukiya Facebook page. Actually if you can recall, Kotobukiya had release a picture of this prototype figure back when the Toy Fair 2013 was hold. I did a post here too.